Ciner (pronounced ‘jin-ner’) Group is the parent company for Ciner Resources Corporation. Founded in 1978, Ciner Group is one of Turkey’s largest corporations. Focused on mining, energy, glass, chemical, media, shipping, and tourism sectors, many of their subsidiaries are ranked among Turkey’s Top 500 Industrial Enterprises. The group’s entrepreneurial spirit creates jobs in many different areas and, as a direct result, they currently own three facilities that mine and ship natural soda ash around the world—Ciner Resources, Eti Soda, and Kazan Soda Elektrik. 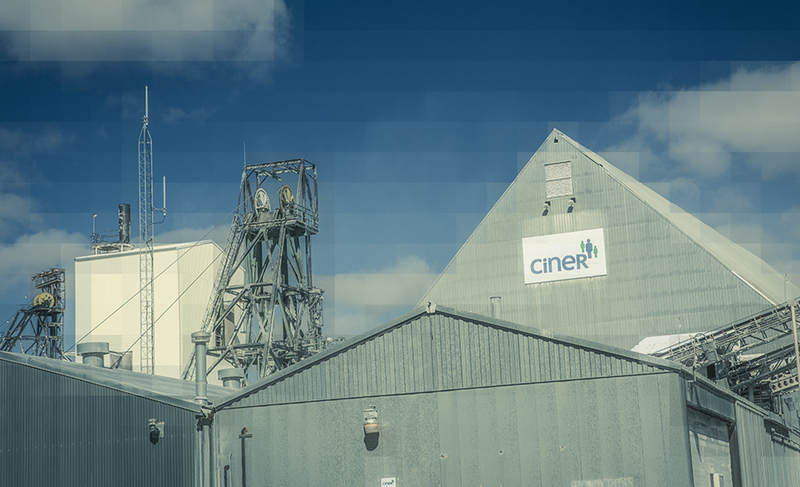 Ciner Resources naturally mines approximately 2.8 million tons of soda ash a year. With a state-of-the-art production facility located in Green River, Wyoming, Ciner Resources mines and refines soda ash from the world’s purest trona deposit. Since opening in 1962, Ciner’s soda ash continues to be used in a variety of industries and applications including glass manufacturing, dry powder detergents, specialty chemicals, and food manufacturing. Established in 1998, Eti Soda officially began soda ash production in 2009. With facilities strategically located in the Beypazari district of Ankara, the world’s second largest natural trona resource, they produce and ship 1.65 million tons of natural soda ash primarily to Russia, North Africa, and the Middle East. The most recent Ciner Group addition, Kazan Soda Elektrik, was established in 2011 and began soda ash production in August 2017. The facility is located in Ankara, Turkey and is positioned to be one of Europe’s and Turkey’s largest soda ash producers. The plant is estimated to produce 2.75+ million tons of soda ash a year. Both Eti Soda and Kazan Soda Elektrik extract trona using solution mining, where trona is brought to the surface and transformed into soda ash slurry via monohydrate crystallization. Ciner Resources naturally mines trona 850 feet below the ground and extracts soda ash in their above ground facility. While different, both mining methods are environmentally-friendly and produce all-natural, pure soda ash. Ciner Group’s total soda ash production is estimated to reach 7 million tons by the end of 2018, making us the world’s largest producer of natural soda ash. However, we are not only dedicated to supplying the world with pure soda ash, we’re also committed to the safety of our miners, longevity of our surrounding environments, and unparalleled customer support. Under Ciner Group, we remain one of the world’s largest producers of low-cost, all-natural soda ash today and for decades to come.